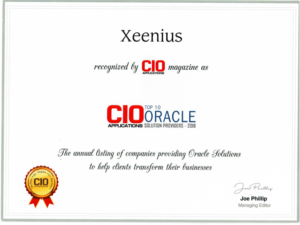 Xeenius has been named as one of the Top 10 Oracle Solution Providers. Xeenius is certified by the National Minority Suppler Diversity Council (NMSDC), Women’s Business Enterprise National Council (WBENC). and California Public Utilities Commission (CPUC).